Senate Democrats on Thursday vowed to use a Senate procedural rule to try to overturn the Trump administration's final rule to expand enrollment in short-term insurance plans and allow them to run for up to three years. Senate Minority Leader Charles Schumer (D-N.Y.) will introduce legislation under the Congressional Review Act, with the hope of recruiting at least one Republican to join Democrats in halting the Trump administration's rule. Under the Congressional Review Act, the Senate can overturn federal regulation with a simple majority vote. Republicans outnumber Democrats 51-49, but with the continued absence of Sen. John McCain (R-Ariz.), the GOP in reality has just a one-vote margin. Democrats hope election-year politics could play in their favor as Republican senators would go on record with a vote to support or block short-term plans that don't cover people with pre-existing conditions. 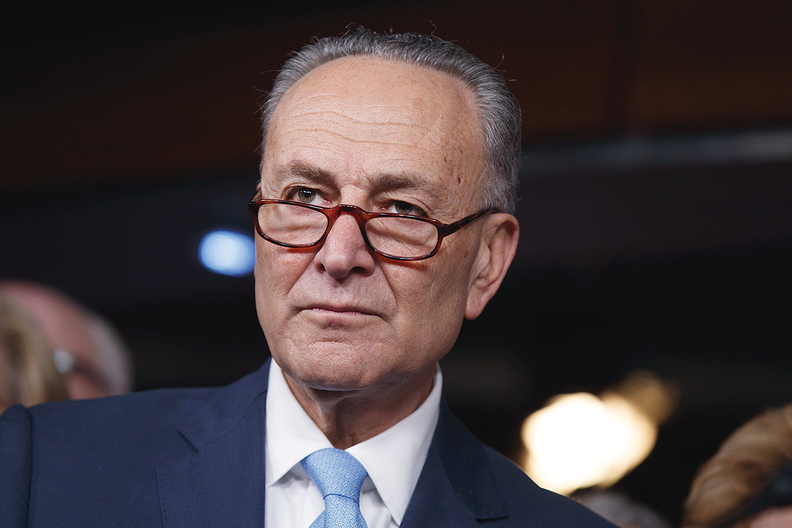 "The Trump administration's new rule expands plans that are nothing short of junk insurance, and Democrats in the Senate will do everything in our power to stop it," Schumer said. "When Senate Democrats force a vote on this resolution under the CRA, the American people can see once and for all if Republicans stand with the Trump administration's efforts to sabotage our healthcare system or if they stand on the side of the 130 million Americans with pre-existing conditions." The Trump administration finalized its rule on Wednesday to allow people to buy short-term plan coverage for up to three years, despite heavy pushback from some in the insurance industry as well as provider groups. "The broader availability and longer duration of slimmed-down policies that do not provide comprehensive coverage has the potential to harm consumers, both by making comprehensive coverage more expensive and by leaving some consumers unaware of the risks of these policies," Justine Handelman, senior vice president of policy for the Blue Cross and Blue Shield Association, said of the rule. Handelman urged officials and insurers to focus on "providing robust protections for consumers, with full disclosure of what's covered and what is not." "Steps also should be taken to prevent cherry-picking that separates the healthiest of customers from those with significant medical needs, raising the cost of comprehensive coverage for all who want the greater security it provides," Handelman said. Democrats have made Obamacare "sabotage" by the Trump administration and GOP-led Congress a key talking point for the midterm elections, and they came out swinging against the final rule. "We cannot let the Trump administration rewrite the rules on the guaranteed healthcare protections that people depend on because no family should be forced to choose between helping a loved one get better or going bankrupt," said Sen. Tammy Baldwin (D-Wis.), one of the leaders of the effort. In June, Baldwin also led a letter to the Trump administration opposing expansion of short-term plans, joined by 44 other Senate Democrats.